We are very proud to announce our most recent award from Clutch as a leading LA Production Company. Clutch is a B2B service provider and reviews platform that connects firms with the solution providers that they need in order to continue focusing on their core operations. Clutch profiles various companies, but only the best firms are eligible to receive an award such as ours. With over 12 years of experience, our team at Production M has the unique ability to tell compelling stories with an eye for commercial appeal. We are experts in creatively developing and producing videos and series that are entertaining, worth sharing, and achieve company goals. We understand how to build a strong brand and we are always on time and budget. We would also like to highlight our recent feature on The Manifest, a sister site of Clutch that provides how-to-guides for companies in need of help finding solutions to their business problems. We are extremely proud to be listed among the top firms providing video production services in the Greater Los Angeles Area. We believe that our features on these two sites will help us raise brand awareness and reach new customers. 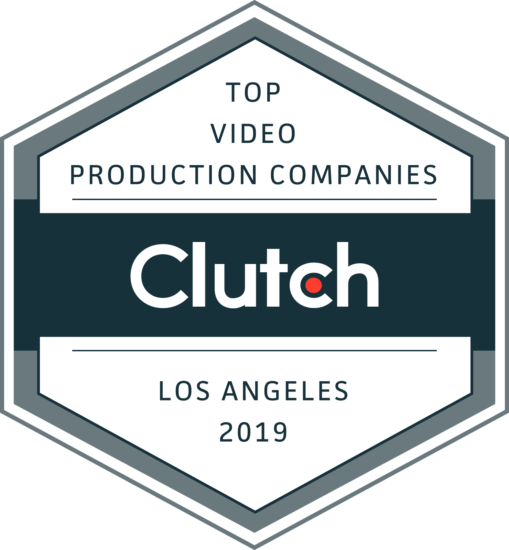 Overall, we are very excited that our work has been recognized by a firm as great as Clutch and we only hope to continue helping our clients improve the strength of their brands by providing high-quality video production services. If your firm is looking to shine light on your amazing story, we have you covered here at Production M!